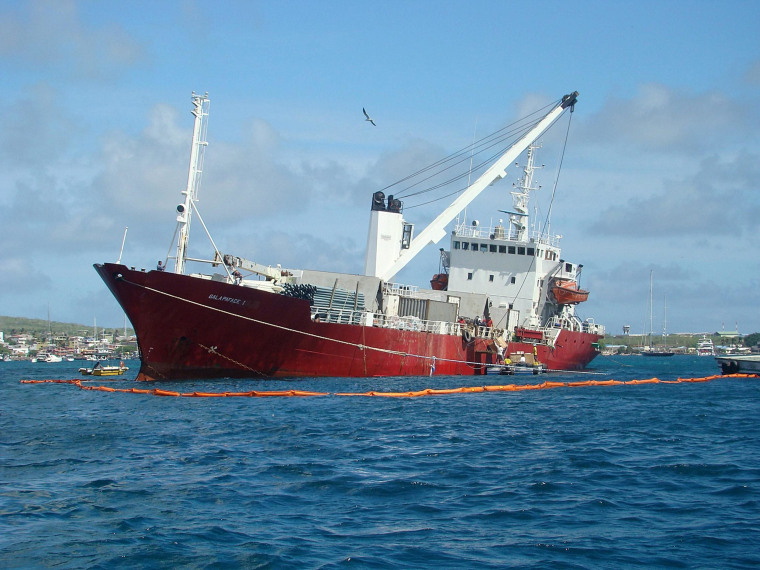 Ecuador has declared an emergency in the Galapagos Islands, warning that a stricken cargo ship that ran aground last week threatens the archipelago's fragile ecosystem. The country’s environment minister Lorena Tapia Nunez said 19,000 gallons of diesel had been removed from the Galapaface I, but other pollutants inside the vessel could spill into the water. The Ecuadorean freighter became stranded off the the rocky coast of the island of San Cristobal last Friday, May 9. The Galapagos – a major tourist attraction 625 miles off the South American coast - are home to unique animal species such as the giant tortoise, marine iguana and flightless cormorant. "The ship is stranded and continues to present an environmental risk for the Galapagos Marine Reserve,” the area’s governor Jorge Torres told the Efe news agency, according to a BBC report. Nunez also posted on Twitter a picture of a condor that had been rescued from the affected water. The emergency order will stay in effect for six months, the environment ministry said in a statement.